Playing limit, Pot limit (PL) and no limit (NL) poker is 3 very different things and require 3 very different strategies. The 3 different games also attracts different types of players and personalities. Limit poker has as the name suggest limits on how much or how little you can bet or raise a hand each time it is your turn to act. The betting follow strict rules and the game mechanics become stricter than in a PL or NL game. The game is easier to predict and it is therefore easier to guess how much a certain action is going to cost you and how much money the pot is likely to contain in the end. The pots will generally be smaller than in the other two types and a more disciplined, stricter game is required. Limit games still allow for bluffs but they play a smaller role then they do in the two other versions of the game. A benefit with limit poker is that you know that you will never be forced to make a choice for all your chips to stay in the game (unless you are very short stacked) . It generally takes longer to win and loose money playing limit poker than it does playing No limit or pot limit poker. You can bring any amount of money to the table when playing limit poker. No limit poker is as the name suggest a version of the game where there are no limit on how much you can bet at any given time. If you want to you can push your entire stack to the center of the table at any time (when it is your time to act) and your opponents will need to at least call that amount to stay in the game. If they fold you win the pot regardless of whether you pushed your chips with the nuts or as a cold empty bluff. There are still minimum bet requirements when playing no limit or NL poker. No limit poker is the most popular type of poker. A lot of people are attracted by the excitement of the higher stakes which often feel higher even if there are less actually money in play than in a higher stake limit poker game. Bluffs and psychology play a big part when you are playing no limit poker and it is usually more important to play your opponents than it is to play your own cards. No limit tables have a maximum buy in that usually is 100 big blinds. You will however sometimes encounter deep stacks table that allow twice that. Deep stack tables primarily benefits tight players. If you play no limit poker you can loose all your chips at any time or, if lady luck is on your side, double or even triple your money on one single hand. Most big tournaments in poker today are no limit texas holdem tournaments and mastering no limit holdem or omaha is a requirement for anyone who hope to one day play for the really big money. 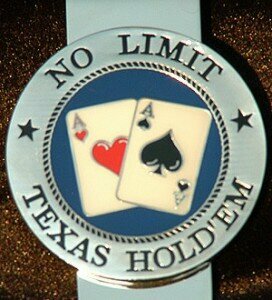 Pot limit is a middle ground between no limit and limit poker although more similar to no limit poker. Pot limit poker feature rules that governs how you are allowed to bet while playing. The maximum bet is decided by how much money there are in the pot. Pot limit games can often contain very big pots and very big bets. We recommend players to play no limit poker as that is where the most opponents and the most money is to be found.